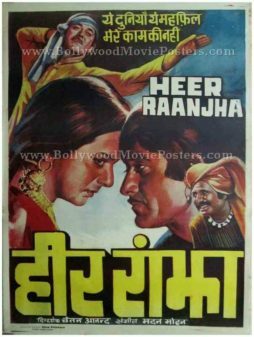 Old Bollywood poster of the classic Hindi film, Heer Raanjha (1970) for sale. 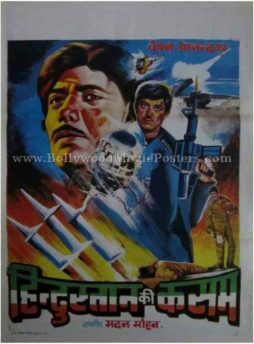 This is an actual surviving old Hindi movie poster of the 1970 romance starring Raaj Kumar and Priya Rajvansh in lead roles. 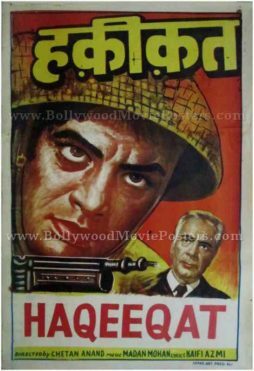 Based on the legend of Heer Raanjha, the film is remembered for its unforgettable song, “Yeh Duniya Yeh Mehfil Mere Kaam Ki Nahin,” sung by Mohammed Rafi. 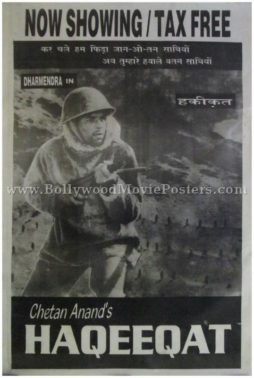 Printed and circulated a few years after the first release run of the film (late 1970s), this old hand drawn Bollywood movie poster was originally designed for publicity of the film but never ended up being used.